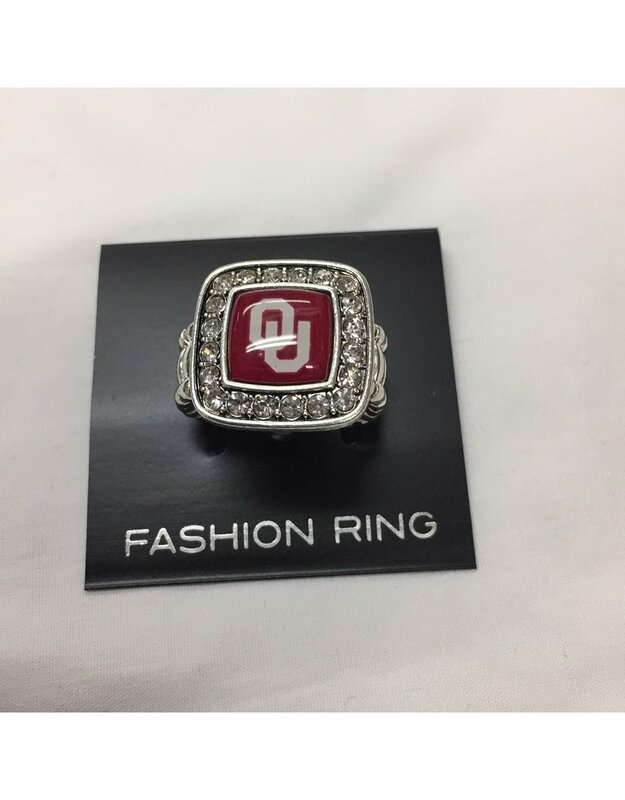 Want to stand out from the crowd with some awesome Game day Elegance? 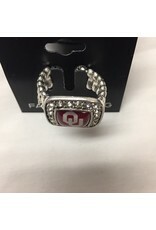 Take a look at this Oklahoma Sooners Clear Crystal Logo Stretch Ring. Stretch band has a inside dimension of .75 inches and stretches to fit most women's sizes. 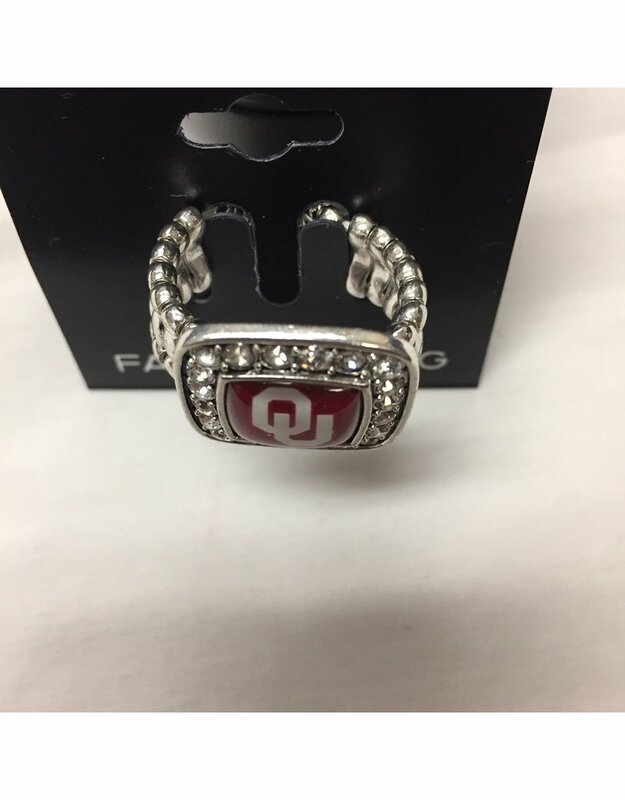 Featuring Clear Crystals and the NCAA Officially Licensed Oklahoma Sooners Logo, all ready to turn some heads with a sparkle that will dazzle, especially if you’re at the game! 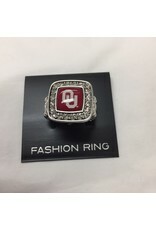 The ring sits high enough on your finger that it will not dig into your hand or be a danger to yourself or others.